When it comes to wireless routers, people often think of box products that are monotonous and square. For those who are more and more fashionable, those routers that are not aesthetically pleasing are obviously not suitable for entering the room. Recently, Fiji's latest intelligent routing product, K2T, is a representative of both value and strength, allowing people to instantly collapse the rigid settings of traditional routers. So how does this Fibonacci K2T perform? Expand the actual measurement. At present, the problem of product homogenization in the field of wireless routers is becoming more and more prominent. Regardless of online e-commerce or offline channels, consumers often see products that are identical and lack innovation. However, in recent years, Fei Xun, which has sprung up everywhere, has been constantly making efforts in product innovation, such as the Fiji K3, which is the first to create a sub-board structure, or the Fiji K2T, which is a separate design of the network port and the fuselage. 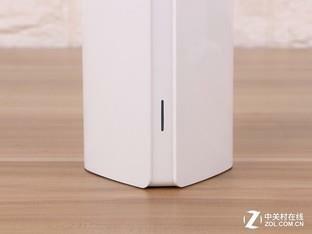 The weak router industry has injected new vitality. The network port is separated from the fuselage, Let the three Gigabit Ethernet ports (1 WAN port + 2 LAN ports) of the Fibonacci K2T be concentrated on one end of the power adapter. 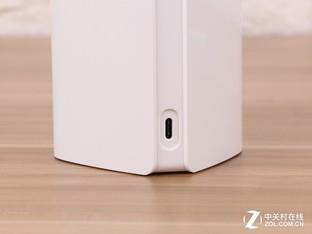 There is only one Type-C interface on the fuselage, and the data power is supported between the adapter and the body. Simultaneous transmission of a single line. 单The fuselage and the power adapter are connected by a single wire. So for the majority of users, what are the benefits of this network port and body separation design? 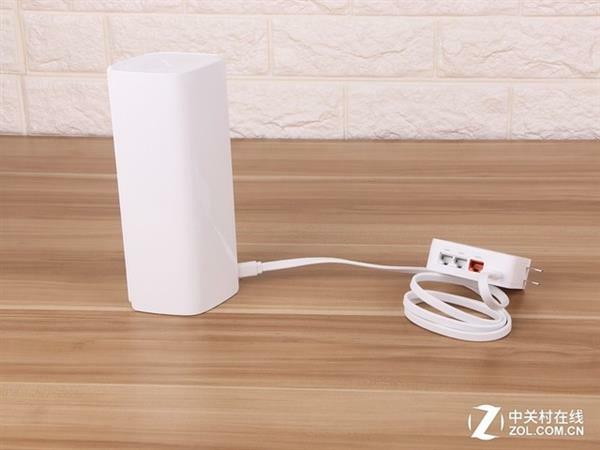 In short, it is able to greatly increase the value of the router, making the router body more concise and clear, free from the clutter of the network cable. Therefore, from the appearance, the Fibonacci K2T is like an elegant and beautiful ceramic art, simple white color, slender body, can add a feminine and elegant to the stylish home environment. Not only that, Fiji K2T has built-in 4 high-gain antennas, 2.4G & 5G antennas are independently adapted, and complemented by excellent performance PA+LNA modules to ensure two-way enhancement of wireless signal transmission power and receiving sensitivity, easily satisfying large units. Room Wi-Fi coverage needs. In addition to the design of 'black technology', Fibonacci K2T is also very functional in configuration and function. 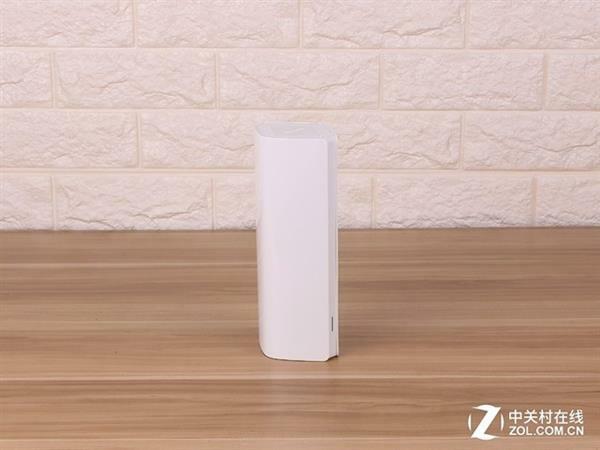 It uses mainstream 802.11AC wireless technology, dual-band Wi-Fi can synchronously send and receive, and the theoretical wireless rate can reach 1167Mbps. 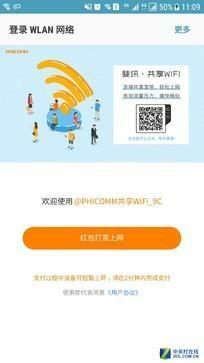 The internal selection uses a new generation of Qualcomm CPU and wireless chip with low heat output, which can effectively solve the multi-user multi-task Internet jamming phenomenon, and at the same time easily cope with the current summer hot weather to ensure long-term stable operation. 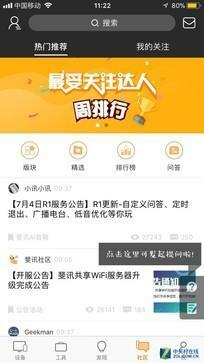 In terms of function, Fiji K2T also launched a fun shared WiFi function to support red envelopes. 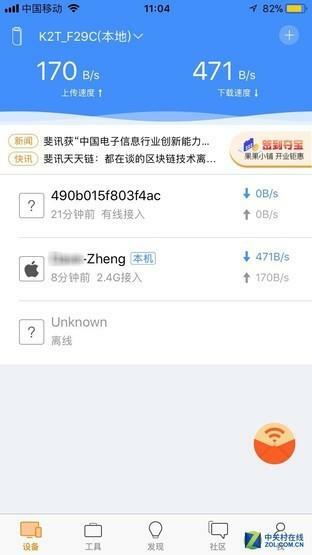 Anyone who purchases Fibonacci K2T can use this function to use the unused broadband in the home to earn red envelopes. 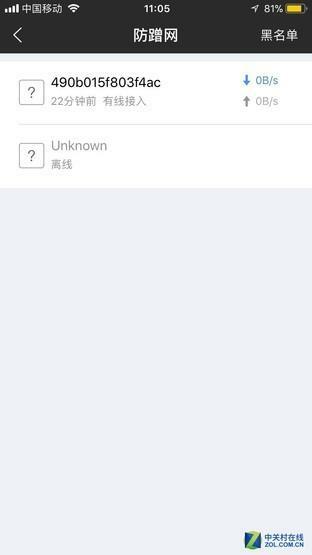 Specifically: After the K2T distribution network is successful, use the mobile phone's Fiji routing APP to share the broadband with one button. 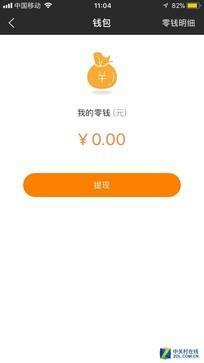 Visitors who need to connect to the network can use Wi-Fi in the form of red envelopes, which is very convenient. In the eyes of mobile phone controllers, it is too much trouble to connect the router to the computer and set it through the web interface. It is available at this time.Fiji Routing APP ' Expand the configuration of K2T. 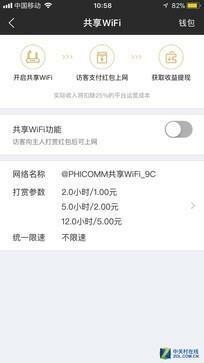 First connect the mobile phone to the wireless network of Fibonacci K2T, then open the mobile app store, find the 'Fixed Routing APP', and then download, install, register, and the router is bound, you can use the APP to control K2T. 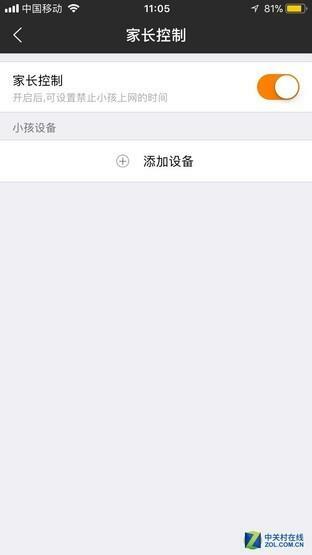 After entering the APP interface, you can see the transmission status of the access device. At the bottom of the interface, you can see the five major categories, namely 'device', 'tool', 'discovery', 'community' and 'me'. 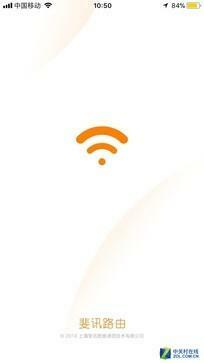 In 'Tools', you can see 'Anti-Bannet', 'Signal Adjustment', 'Parental Control', 'Network Speed ​​Test', 'WiFi Time Switch', 'Guest Network', 'Wireless Expansion', 'Online Alert ', 'Share WiFi', 'Router Binding', 'Fixun Cloud Disk' and more practical functions, users can click the corresponding icon to apply. 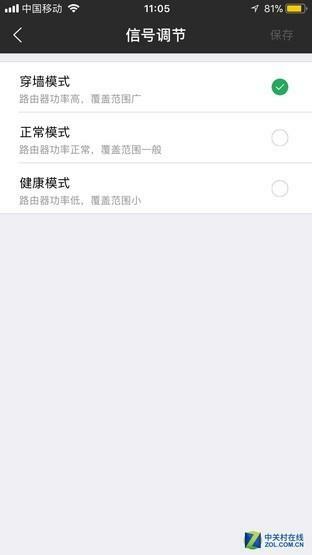 among them 'Online reminder' function , can be connected to the terminal device you are interested in. 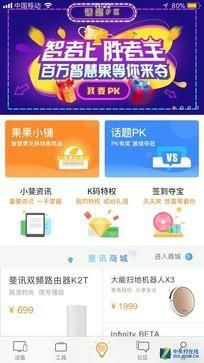 As long as it is connected to the K2T network, the reminder will be sent via the APP. When the family goes home, they can be mastered in minutes. 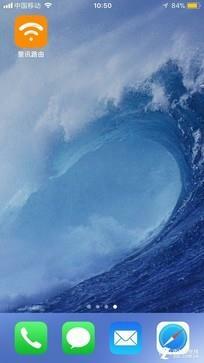 The most important thing is, No longer afraid that when you are not at home, the next king will sneak into your home. 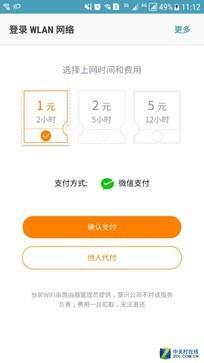 The 'anti-mite network' function will let users see if the person accessing the network is an illegal intruder, and easily reach the forbidden network purpose (blacklist it). 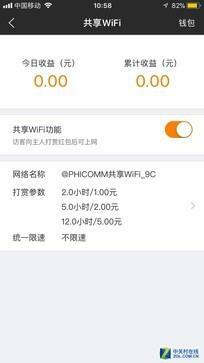 With the 'Signal Adjustment' interface, the router power can be divided into 'through-wall mode', 'normal mode' and 'healthy mode' from high to low. Among them, the through-wall mode is the default mode of K2T. Users can adjust the signal strength according to the actual use, and develop efficient energy-saving support. Fetion K2T also supports parental control. 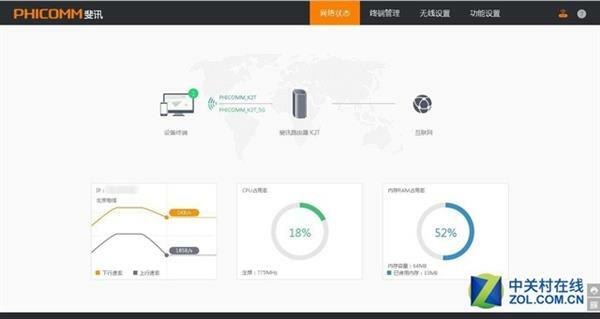 With this function, users can flexibly control their online behavior and create a healthy and controllable network environment. 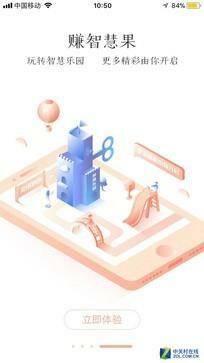 In addition to the above key functions, users can also see various information and more gameplay waiting to be tapped on the 'discovery' and 'community' interfaces. Don't miss it. For regular web interface configuration, do not do it here. Too much to repeat. Although the Fibonacci K2T uses a built-in antenna, what is the performance of its Wi-Fi signal under the support of the fully-fledged PA+LNA module? 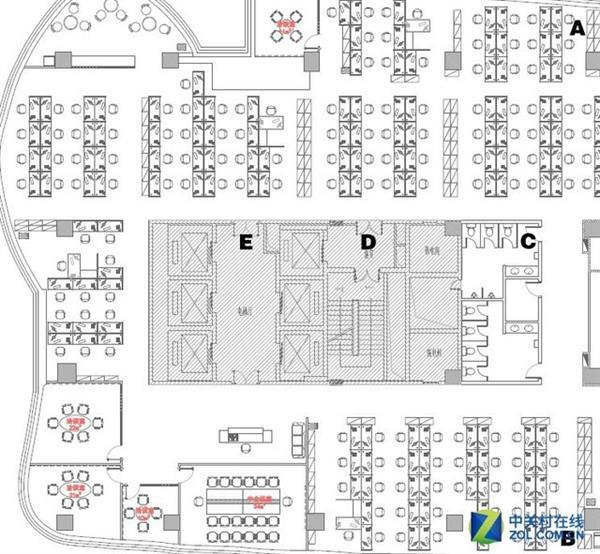 The test was carried out in the ZOL 8th floor office area, and the WirelessMon Professional Edition software was used to test the coverage of the Fibonacci K2T. 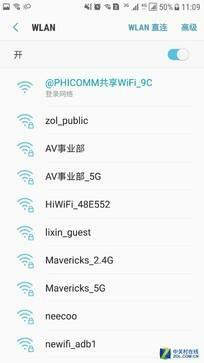 What needs special mention is that in the ZOL office area, more than ten wireless hotspots are covered, so the Wi-Fi anti-interference of the wireless router is also a test. Let's first take a look at the actual test environment diagram. Description: Point A Is the placement point of the router; Point B For the first test point, about 30m from point A, there is no barrier between point A and point A; Point C For the second test point, about 16m away from point A, there is a common wall + wooden door between A and A. Point D For the third test point, about 22m away from point A, there is a load-bearing wall + iron gate between A and A. Point E For the third test point, about 25m away from point A, there is a barrier between the load-bearing wall and the iron gate between the points A (high difficulty). It can be seen from the test that the Fibonacci K2T is enhanced by four high-gain antennas with independent PA+LNA modules, and the signal performance in the 2.4GHz band is very bright. At the unobstructed distal B point, the signal strength can reach 90%; and at the C point with the normal wall + wooden door barrier, the signal strength is also 86%; at the D point with the load-bearing wall + iron gate barrier, the signal strength can It can reach 78%. Even at the E point, which has a load-bearing wall + iron gate barrier (usually a blind spot), its signal strength can reach 50%, which can easily meet the Wi-Fi coverage requirements of a typical two-bedroom room. It is not difficult to find that the signal coverage of the Fibonacci K2T in the 5 GHz band is equally strong. At the far end B, the signal strength can reach 82%; at the C point with the common wall + wooden door barrier, the signal strength also reaches 80%. At point D with load-bearing wall + iron door blocking, the signal strength is 62%. Even at the E point where there is a load-bearing wall + iron gate barrier (usually blind zone), the signal strength can reach 40%. In the same category, K2T's 5GHz band also performed well. Through detailed measurement, it can be seen that Fibonacci K2T not only actively explores technological innovation, but also brings amazing works comparable to art, and it is also remarkable in Wi-Fi performance. 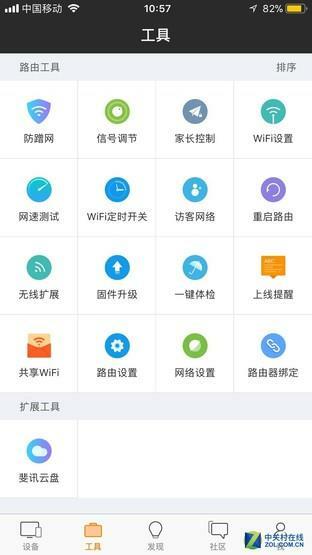 In addition, the separation of the network port and the fuselage allows the home networking to successfully get rid of the chaotic network cable, and the practical shared WiFi function supports the red envelope reward, APP control and other interesting gameplay.